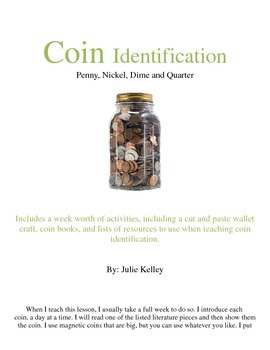 This is a lesson over coin identification for Kindergarten and/or First Grade. It covers the penny, nickel, dime and quarter. 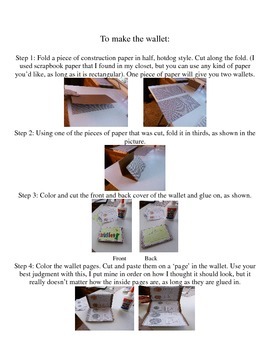 It includes a poem, a student fill in the blank booklet for each coin, a coin graph, as well as a wallet craft cut and paste. It also has the content and language objectives to put in your lesson plan, and books and other resources to use with this lesson. This requires little prep time, unless you don't already have plastic coins, but that is just one of the activities in this bundle. You can literally print out the pages you need and you can teach the lesson!